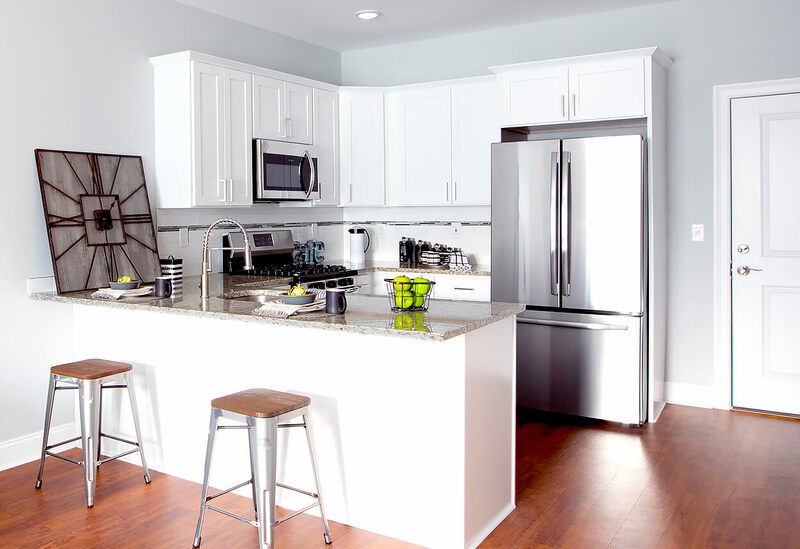 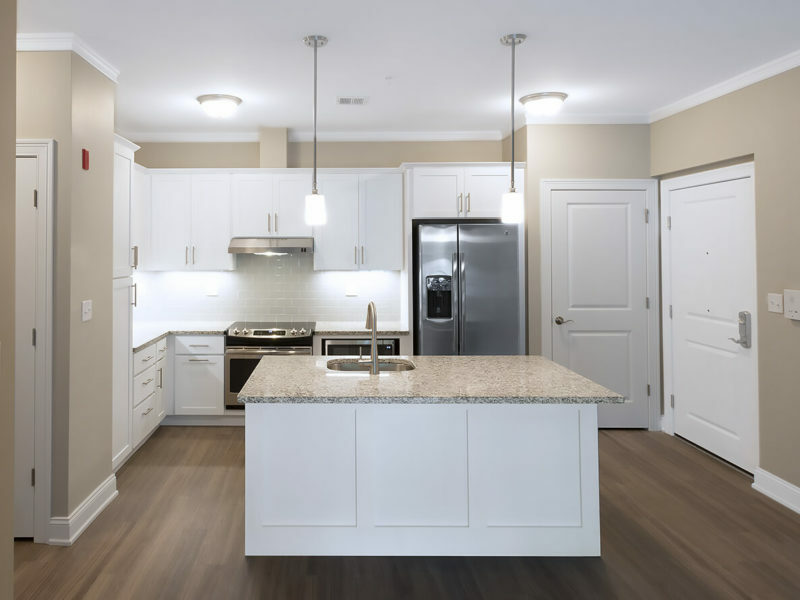 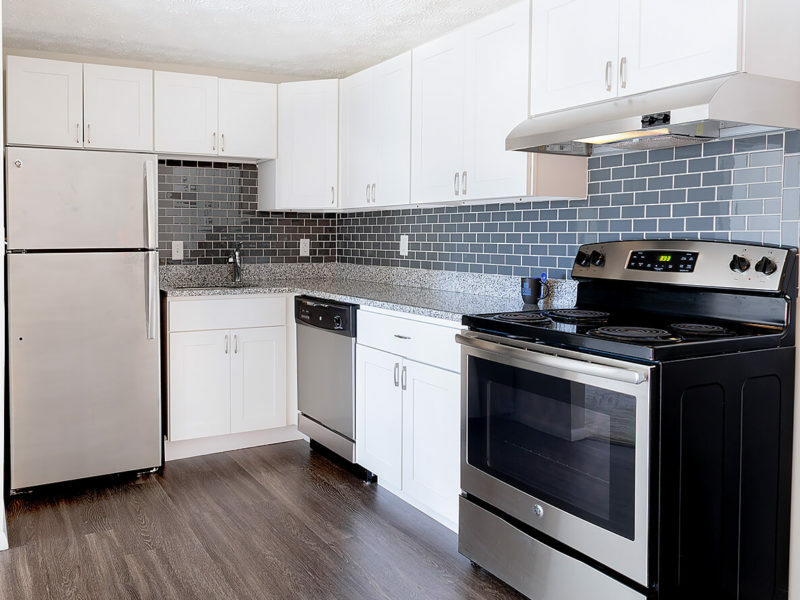 Viking recently completed kitchens and bathrooms for two styles of apartments, plus kitchen area for a community room, at Ridge275 in Wethersfield, CT. 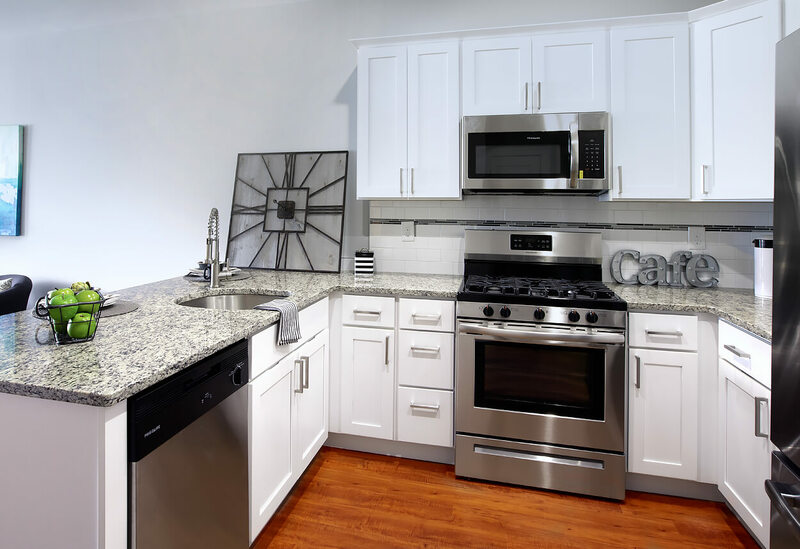 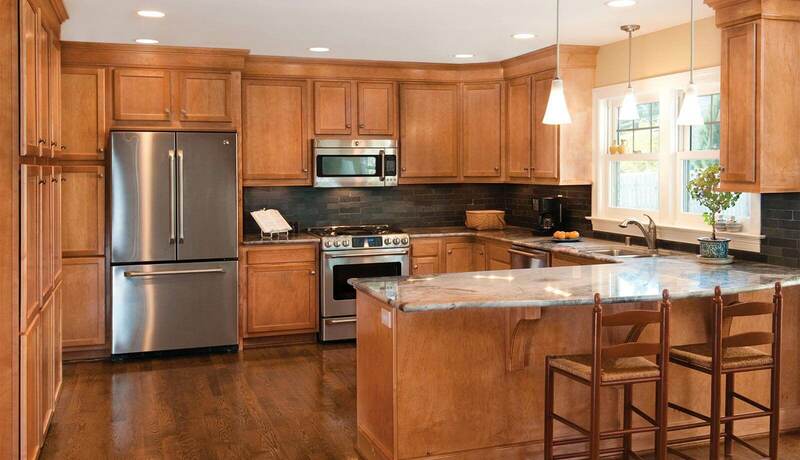 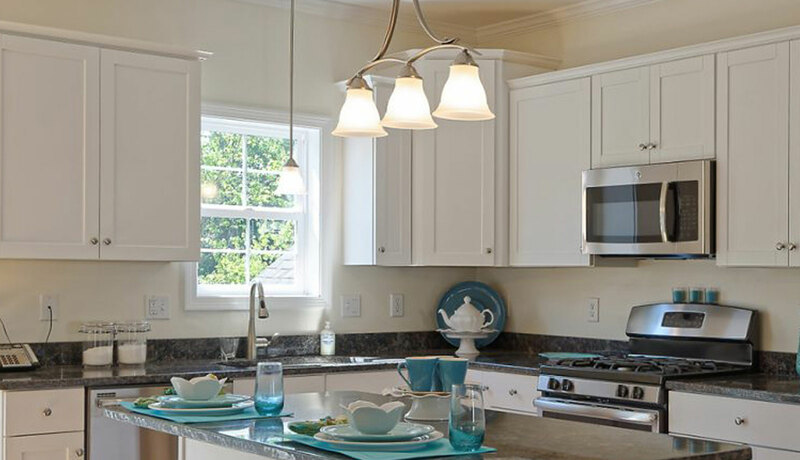 This luxury development is the first of its kind in Wethersfield and is nestled in a safe and quiet residential neighborhood in one of the most historic areas of Connecticut. 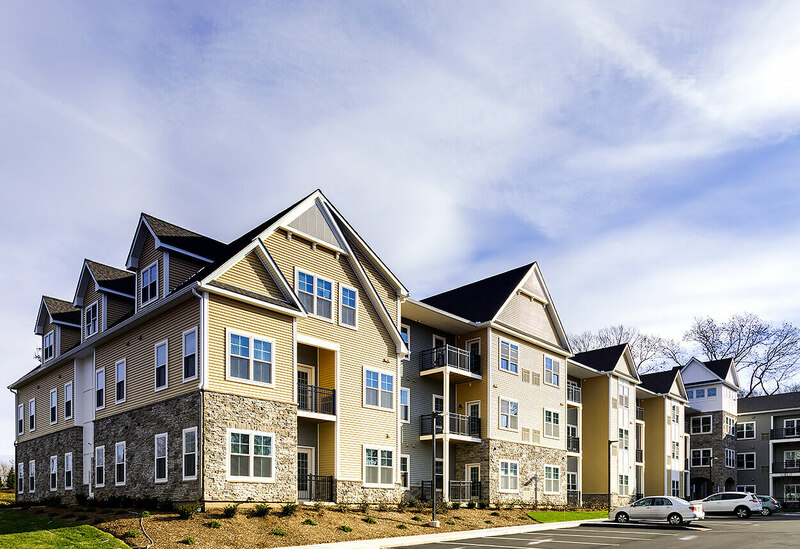 With convenient access to all major highways, residents are just minutes away from shopping and restaurants on the Berlin Turnpike, fine dining in West Hartford Center and work in downtown Hartford. 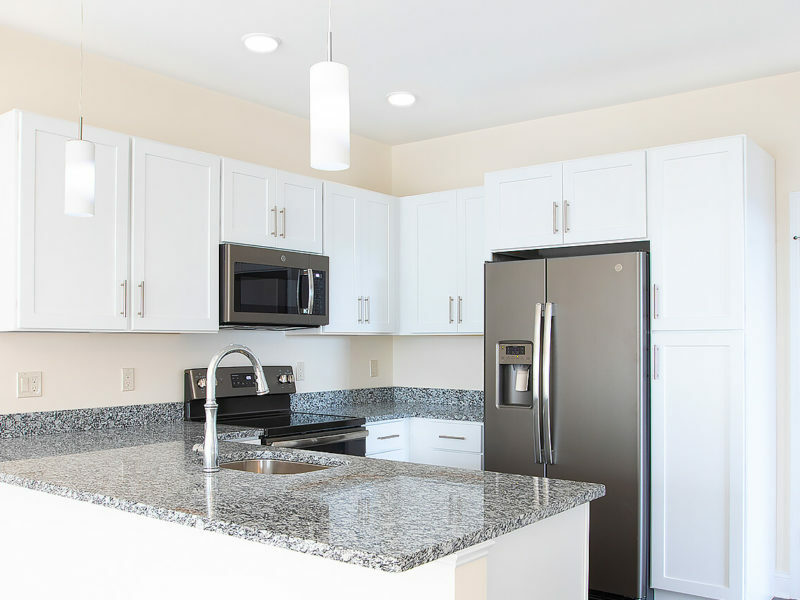 Each unit was carefully designed to include an open floor plan, a private space for laundry and attractive high-end fixtures and appliances. 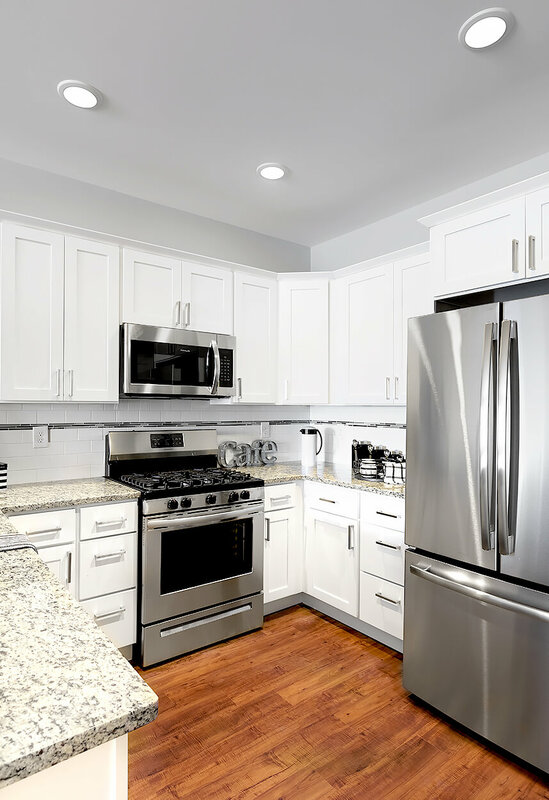 We installed CNC Luxor White cabinets with soft close upgrades, topped with shaker crown molding for a high-end look. 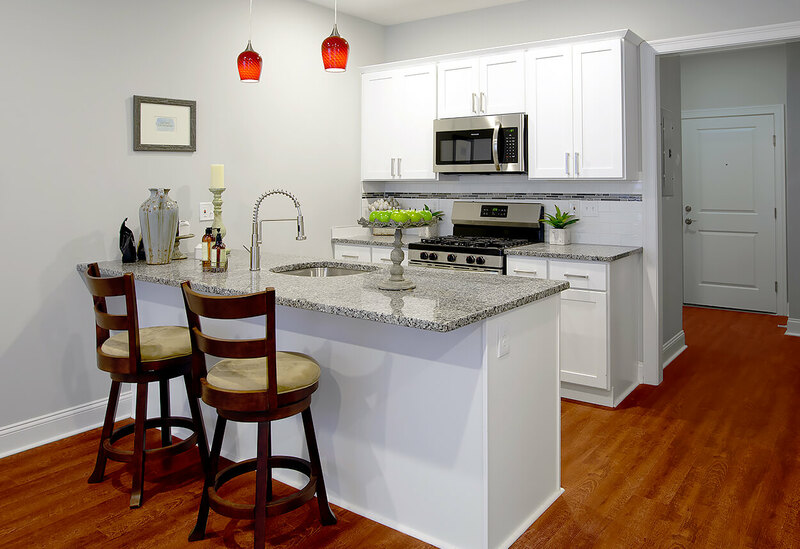 For the bathrooms, we installed Tru Sienna Maple Stain cabinets with custom cultured marble integrated sinks. 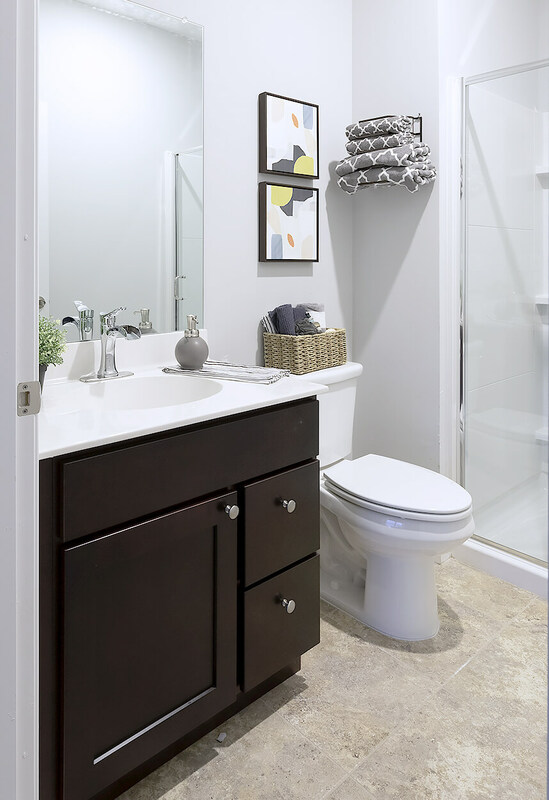 All master bath cabinets are ADA compatible with removable sink fronts. 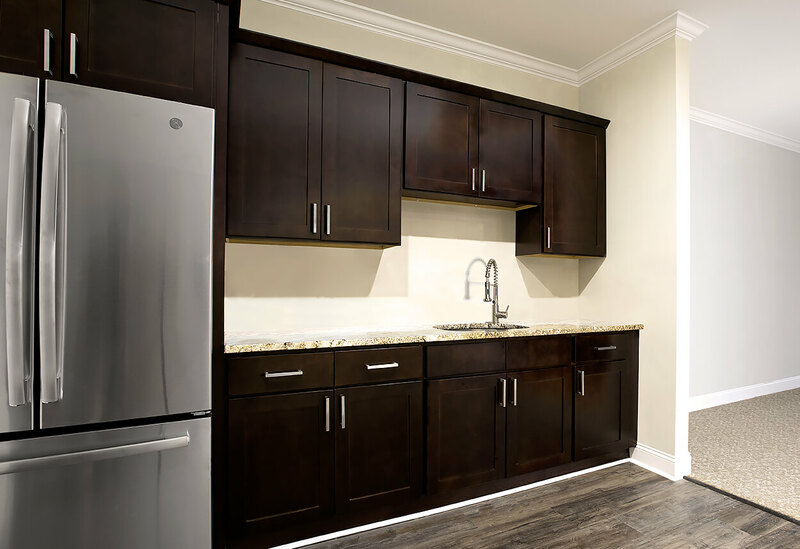 In the community room, we installed CNC Luxor in Espresso Stain, with soft close upgrades and matching Shaker crown molding. 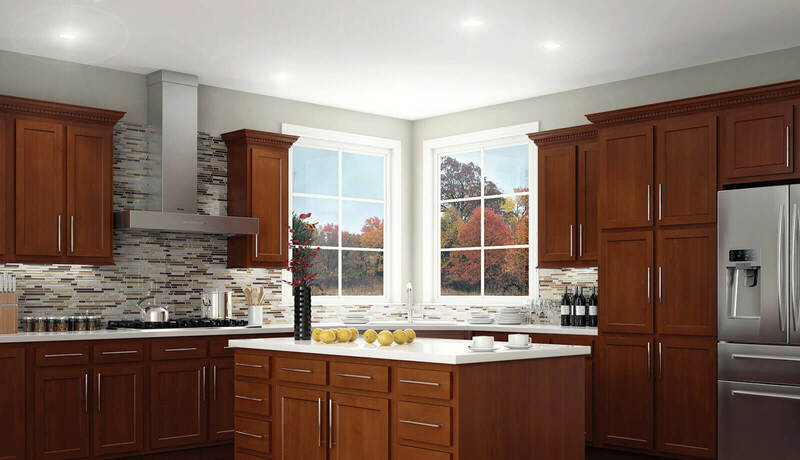 Kitchen: CNC Luxor White with soft close upgrades and Shaker crown molding. 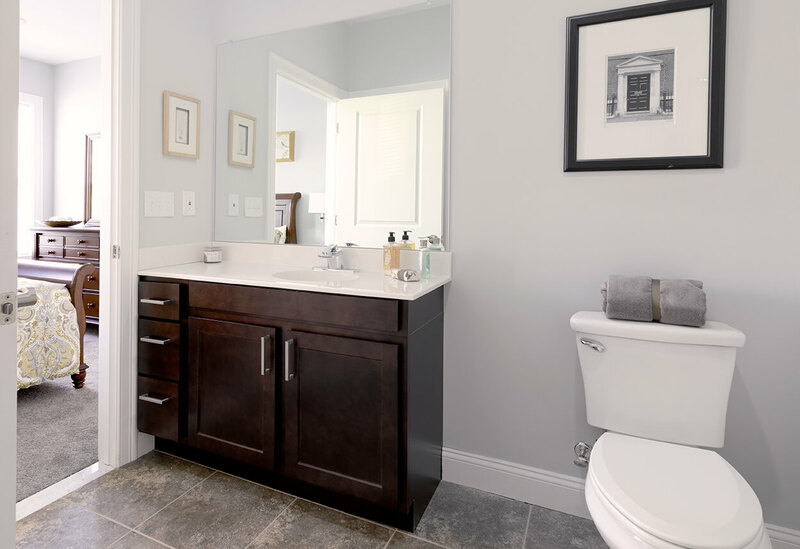 Bathroom: Tru Sienna Maple Stain cabinets with custom cultured marble integrated sinks. 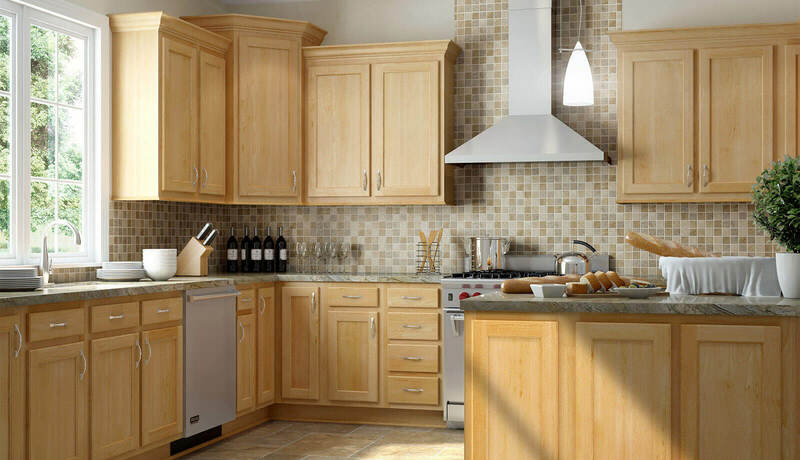 Master bathroom cabinets are ADA compliant. 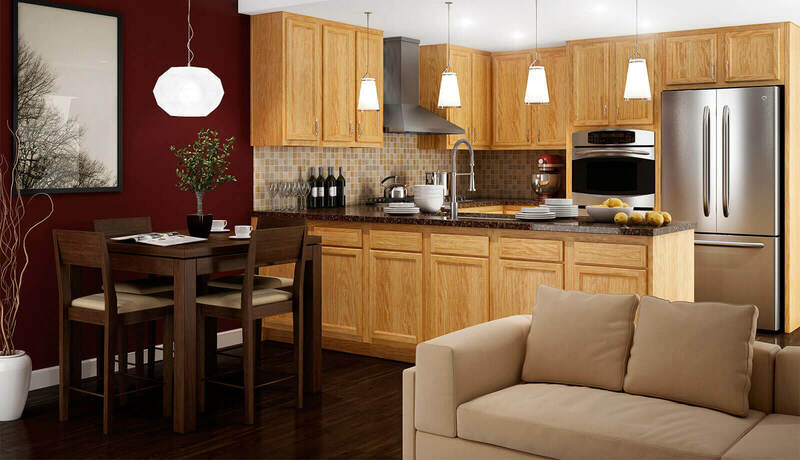 Community Room: CNC Luxor in Espresso Stain, with soft close upgrades and Shaker crown molding.